Do not use the hooks under the rear of the vehicle for towing purposes. These hooks are designed ONLY for transport tiedown. 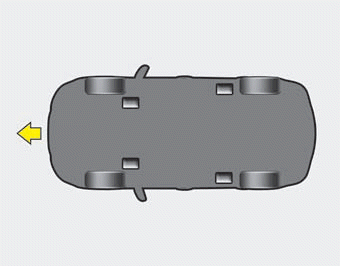 If the tie-down hooks are used for towing, the tie-down hooks or rear bumper will be damaged.